I love the lush but delicate blossom that springs each year from the old knarled wood of this apple tree. The buds start out such a deep pink and fade into pastel as the flowers open. Each flower has the potential to grow into a sweet juicy apple…..the tree grows in my garden and before me my Granny lived here…. so four generations of my family have grown healthy and strong eating the apples from this tree. Hi, I'm Seonaid, and I share my home with my husband, my son and a collection of cats and dogs. I am forever snapping shots of things which catch my eye. I love art which is here now and gone tomorrow...like food and nature...but also have a passion for vintage and the ancient past! Nature is my favourite muse, with her wild ever shifting seasons. I have been using and teaching mindfulness and relaxation for over 12 years, and have yet to become any sort of expert :-) I'm a Psychotherapist, and run the Maggies Highlands Cancer Centre, in Inverness, Scotland. 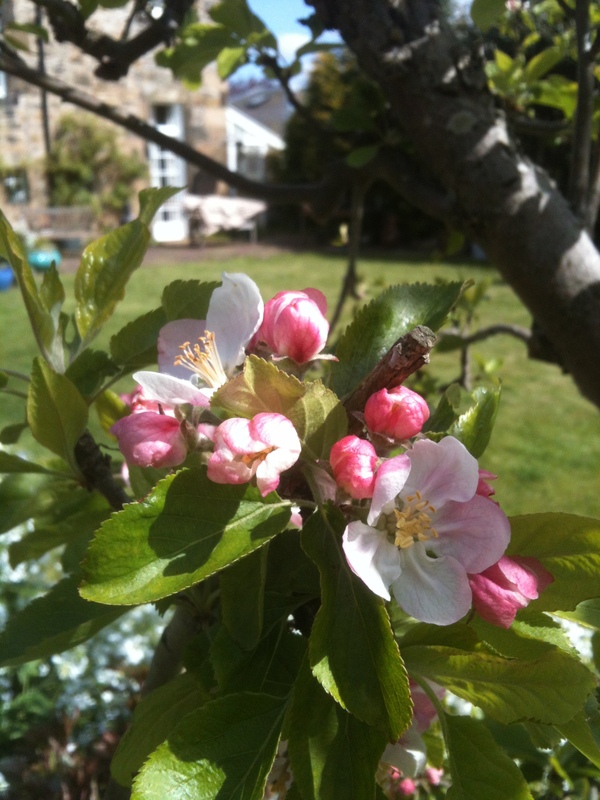 This entry was posted in nature photo, photos, weekly photo challenge and tagged apple, blossom, garden, postaday, tree. Bookmark the permalink. An informative and fun Scottish travel blog showcasing the best of Scotland. My Scotland blog is an invaluable guide packed full of great ideas for places to eat, sleep and play in Scotland. The official blog of Ed Mooney Photography. Dad of 3, Photographer, Martial Artist, Gym Rat & Blogger. Exploring the historical sites of Ireland.